When it comes to promoting events, social media can be a very effective tool. Your attendees could be hanging out on Facebook, or Twitter, or Snapchat, or any of the other channels right this moment. Social media can help you reach out to your target audience, engage with them, convert them into attendees, and keep in touch with them even long after the event is over. With so many different channels to choose from, you have seemingly endless ways to reach your audience online. One of the first things you need to know before you start promoting your event on social media is who your event is going to be targeted at. This will form the basis of all the promotion you do. To answer this question effectively, I recommend creating a profile of an “ideal customer.” It’s a good idea to get as specific as you can when you create this profile. Try to get a complete profile of your “ideal customer,” including things like age, gender, income level, interests, and even hobbies. This will help you target your promotion more accurately. As a supplement to this, you could also take a look at the demographics of the people who attended the event the last time you held it. This will help you get an even better idea of who you need to target for this year, and how. Once you have the profile of the ideal customer with you, you should choose the social media networks that you’re going to promote your event on. Different networks have their own audience, and a quick search should give you the demographics for each network. Some networks, such as Facebook, also let you create your own event page to promote your event, or create an event on your existing page as well. The type of event that you’re going to host will play a role in the network you choose. LinkedIn might be a good choice if you’re going to host a professional event, but if you’re hosting a concert as a fundraiser, you may want to consider other networks. Once you’ve chosen which ones you want to promote your event on, make sure you update your bios with the event name, and include the registration link, as well as a first step. Great! You’ve chosen the networks that you’re going to promote your event on, and you’ve updated your bios to include details about, and the registration link for, your event. Before you start making promotional posts, though, you’ll need to come up with a creative hashtag for it. When you create your hashtag, make sure that it’s short, simple, unique, and easy to understand. Come up with multiple iterations, choose your favorite one, and then run with it. If it’s an annual event, you may consider adding the year at the end of the hashtag, so that you can reuse the same hashtag next time, with the new year. Don’t stop with using your hashtag on social media posts—include it in your bio, make it a part of the invite emails you send, add it to your website content, and put it on printed material or banners you’re creating. Give your hashtag as much visibility as possible. Creating a hashtag is a great way to promote your event. Use these hashtags in every promotional post that you make, as it will allow your audience to find all the posts about the event easily. Hashtags can also help you monitor conversations about your event, so that you can jump in and answer any questions that people may have, as well. If you’re using a social media management tool that comes with a monitor feature built in to the product. You can use this to monitor any keywords, misspellings of your brand’s name or the event’s name, and then join relevant conversations quickly. And now, for the most important part. When you create promotional content on social channels, you’ll need to ensure that your posts are all targeted towards your audience, carry a consistent tone, and possibly include a call to action for your audience. Try to make your posts as engaging as you can, so it’ll have the best effect. One thing you should keep in mind is that different types of content work on different social channels. You should slightly modify the content, so each is tailored for the channel you’re putting it on. For example, on Instagram, you’ll have to use images. On Twitter, you use short, crisp messages, and on LinkedIn, you’ll have to use a more professional tone. You can also use features like “Stories” on Facebook, Instagram, and Snapchat to share behind-the-scenes videos of the event, or share other promotional content. Consider incorporating images and videos into your social media content. Share images of your speakers, along with a quote from them, make promotional posters, and even share pictures and clips from the last edition. All of these will help create a buzz around your event. If you aren’t familiar with design, don’t worry. There are tools that will let you create and use stunning visuals. Remember that when you create content on social media, it’s important that you’re telling a strong story. Hook your audience, and give them an intriguing reason to attend your event. You can supplement your story with testimonials from previous events, and share user generated content. Check out our guide on how to use storytelling on social media for further reading on this topic. If you invest in a good social media management tool, you may have access features that help you promote your event better. For example, you’ll be able to create and schedule your posts well in advance, and you can also set your content to repeat in regular intervals, till the date of your event. Once you’ve created and scheduled your posts, be sure to get in touch with your speakers and ask them to share your content on their social profiles, as well. To get the most engagement for your social media posts, check out our guide to social media engagement. Don’t count on just organic reach for your event. 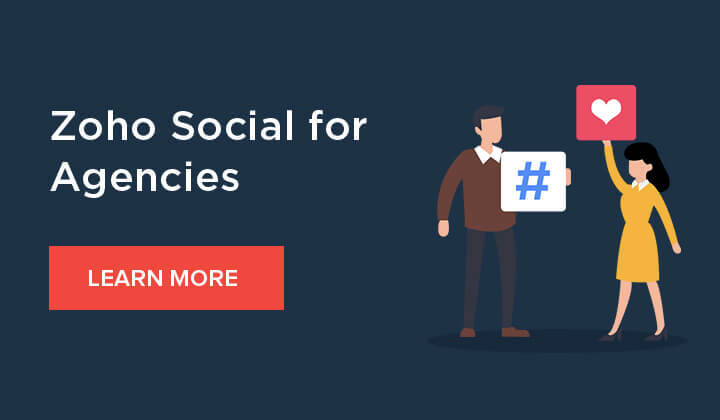 Many social networks allow you to run ads on their channels, and you can leverage these features to get your content in front of as many people as possible. Most brands on social media use ads, so be sure you’re not left behind—and besides, many of these channels have good targeting capabilities, so you can show your content to the exact audience you want. Set an accurate budget, and then let your ads run. Be sure to keep an eye on how your ads are performing, though, so that you can tweak the campaign and make necessary adjustments if you aren’t satisfied with the results that you’re getting. As an additional tip, you may also want to use nontraditional channels for marketing your event. For instance, messaging apps have seen huge growth in terms of numbers, and you could potentially engage with your audience from there. An added advantage to this is that it’ll feel incredibly personal to your recipients, since you’re messaging them directly—and that can help earn their trust quickly. Check out our guides on marketing through WhatsApp and Facebook Messenger to learn more about how you can do this. Running an event requires a lot of work, time, and energy, which is why it’s all the more important that you market it in the best way possible. We hope the tips that we’ve shared in this article will help you do just that! Know of anything we’ve missed, or have anything to discuss? Let us know in the comments below, and we’ll be in touch with you soon!